← Windows 10: What is REMSH.exe for? 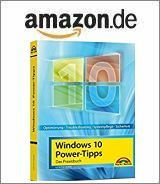 [German]Microsoft has pulled both November 2017 Rollup Updates KB4052234 for Windows 7 SP1 and KB4052233 for Windows 8.1 (and the Server pendats). Both updates should fix the Microsoft JET Database Engine bug, but are causing issues. But I mentioned within my blog posts, that both update packages are coming with serious known issues. One of the collateral damages admitted by Microsoft is, that when users close some applications, they see an error dialog box indicating that an application exception has occurred. This can affect applications that use MShtml.dll to load web content. The error only occurs if a process is already shut down and does not affect the application functionality. With Windows 8.1, there may also be problems starting Internet Explorer if the display settings are not correct (see my details in the linked blog post). A German blog reader posted also a comment, that after installing the update under Windows 8.1, a total of 23 important updates has been offered. But the release date was from 2015/2016. It seems, that packages KB4052234 and KB4052233 confuses the Microsoft Update Component Store, so that old updates are requested. To cut a long story short: I didn’t even install the updates because of the collateral damage that Microsoft indicates. Now blog the German blog reader dropped a comment, that both updates have been withdrawn by Microsoft. Some colleagues at winfuture.de have noticed this. And the colleagues from deskmodder.de pointed out, that it could have been withdrawn because of the’ older updates’ – same, as I mentioned above. It seems that we have had once again a quick shot from Redmond, which only lasted a few days. This entry was posted in issue, Update, Windows and tagged KB4052233, KB4052234, Update, Windows 7 SP1, Windows 8.1. Bookmark the permalink.